If you are looking for added value for your Phalaenopsis or other plants, then Koen Pack is the place to be! It is also possible to develop your own packaging or printing in cooperation with us. These bags draagtassen geven uw planten extra verkoop mogelijkheden en voor de eindgebruiker direct klaar als cadeauverpakking. With a decorative sheet of various materials, the pot is covered and gives it a luxurious look and increases the gift value. Ask your representative for more information! This tube with size of 16x14x70cm is made of anti-static PVC. The card hanging from the satin ribbon is 20x5cm is printed 'For the best Mum'. Te last items of this tube are available in pink/white, article code M40190. With these sleeves you can give a distinctive value to your plants in an economical way. Transparent sleeves are available in various sizes. Check our website www.koenpack.com. 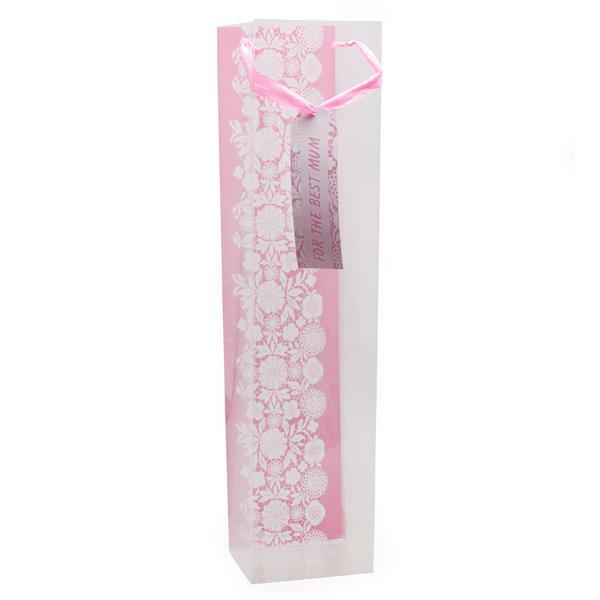 To add a graceful decoration to your packaging, we have different clip bows available. We are now offering a new range of products in ceramic flower pots. They are suitable for potsize Ø 12cm, please ask your contact person at Koen Pack for the possibilities. A series of fabrics pots in five colours, suitable for pot size Ø 12cm. There is also a matching pick available to the give it a finishing touch. If you want to order your packaging and decorations quick and easy through our webshop, you can retrieve your password here. If you have any questions, please let us know! You can follow us on Facebook to stay tuned with the latest news in the packing area. You can send an email sales@koenpack.com or contact us at +31(0)20 - 545 24 70 for more information or samples. You receive this information because you are registered as a customer. This email informes you about trends in packaging and the packaging area, You can unsubscribe by clicking the link at the bottom of this email.